Chicco (pronounced cee-co rather than, what I’ve been saying for the past few years, chee-co!) are a well renowned Italian baby brand. They were established in 1958 and cover all sorts of areas in the parenting market. From cribs to strollers, from toys to highchairs, Chicco have a fab range on offer and always provide reliable and great looking products. Chicco have just embarked on a new adventure here in the UK and we are very excited to be able to share it with you! 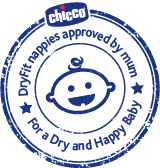 They have entered the disposable nappy market with their fab, new Chicco Dry Fit nappies. We were sent a couple of packs of size 4 and 5 Chicco Dry Fit nappies to review. And we have been putting them to the test with as many poos and wees as possible (Isla's, not mine of course). We have tested them over 2 weeks to make sure we give you as honest and reliable a review as possible. 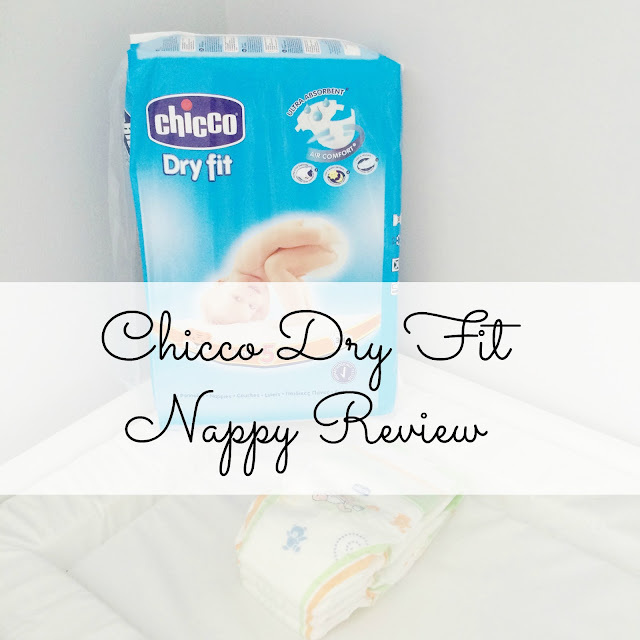 The first thing you notice about the Chicco Dry Fit nappies is that they have a super slim design and feel very light. They have a nice, neutral colour design that doesn’t tend to show through your baby’s clothes. This sounds like such a small detail but it’s a welcome relief from some of the gaudy colourful characters, on some of the other branded nappies out there, that often ruin outfits! Onto the more important details…the functionality of the nappies. The Chicco Dry Fit nappies fit Isla really well. No digging in and no red marks on the chubby little things! Nice and secure to stop any leaks. A lovely, soft waist band that felt really comfortable. I can imagine this would help babies who suffer from eczema and other skin conditions. Their sticky tabs have a strong hold and keep the nappy on comfortably. We were very impressed by the main use of these bad boys, the absorption capability. For how thin the nappies feel before use it’s amazing how much they can soak up. The lasted 12 hours over night quite happily and it was only when Isla decided to lie in till 10.30am that we had any leaks. By then the nappy would have been on 15.5 hours so it was to be expected really! All number twos have been contained as well so we are very impressed there too. Chicco Dry Fit nappies are also on offer at Boots at the moment. It’s buy one get one free on selected sizes. What a bargain. Stock up now! All in all we were very impressed and would recommend them to our friends for sure! 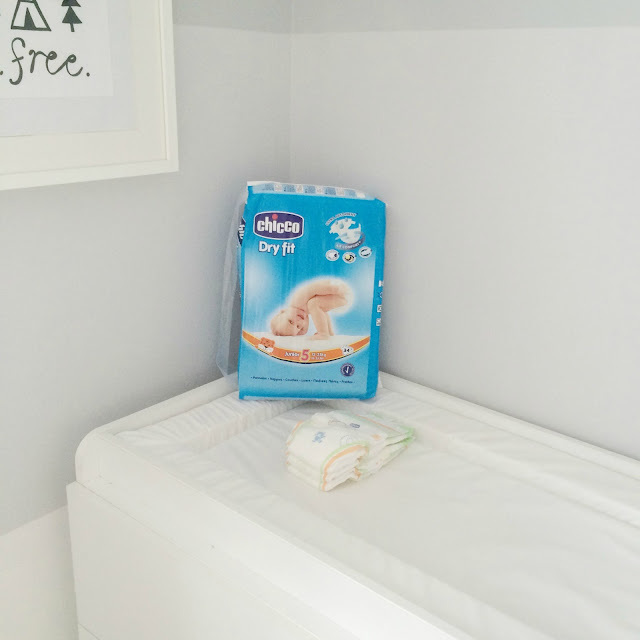 What brand of nappies do you tend to use?